National Hispanic Heritage Month: Celebrating Carlos Noriega #HispanicHeritageMonth « Adafruit Industries – Makers, hackers, artists, designers and engineers! In honor of National Hispanic Heritage Month, today we take a look at Peruvian-American Astronaut Carlos Noriega and his career at NASA. Selected by NASA in December 1994, Noriega reported to the Johnson Space Center in March 1995. He completed a year of training and evaluation and was qualified for assignment as a mission specialist in May 1996. He held technical assignments in the Astronaut Office EVA/Robotics and Operations Planning Branches. Noriega flew on STS-84 in 1997 and STS-97 in 2000. He has logged more than 481 hours in space, including over 19 EVA hours in three spacewalks. Following STS 97, Noriega trained as the backup commander for the Sixth Expedition to the International Space Station and later as a member of the crew of STS-121. In July 2004, Noriega was replaced on the crew of STS-121 due to a temporary medical condition. While awaiting future flight assignment, Noriega served as Chief of the Exploration Systems Engineering Division at Johnson Space Center. 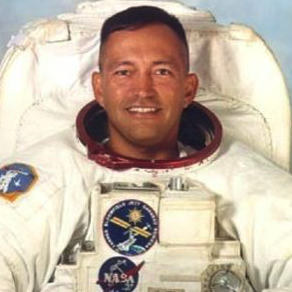 In January 2005, Noriega retired from the Astronaut Corps. He left NASA in August 2011. Noriega’s final assignment was as the Director of Safety, Reliability and Quality Assurance for the Constellation Program at Johnson Space Center.